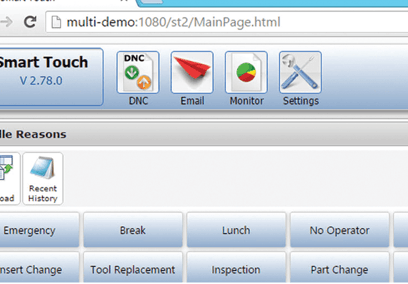 Multi-DNC software networks all your CNC machines and robots. It supports CNC communications for uploading, downloading and dripfeeding. 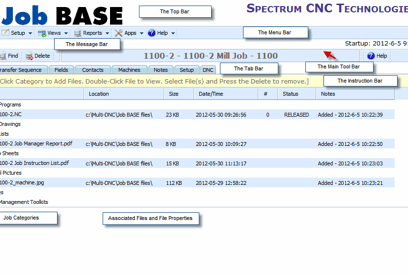 Multi-DNC manages your CNC programs, offsets, parameters and can automatically capture probe data. Includes a secure edit function, backplotter and file compare features. 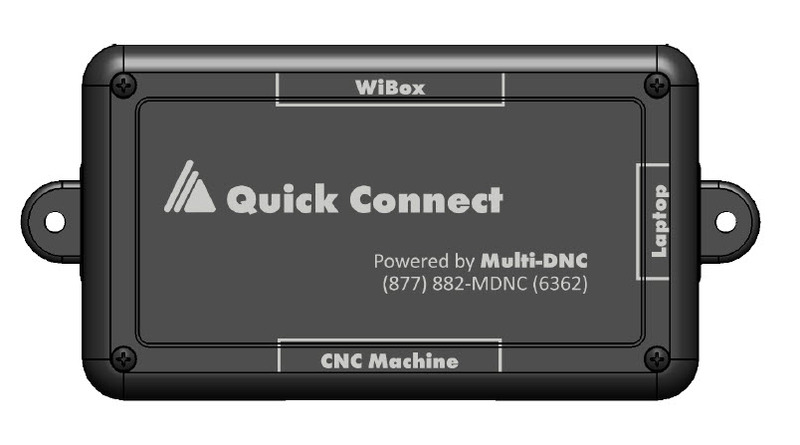 Multi-DNC supports two-way CNC communications for uploading, downloading and dripfeeding files using wired or wireless network option. 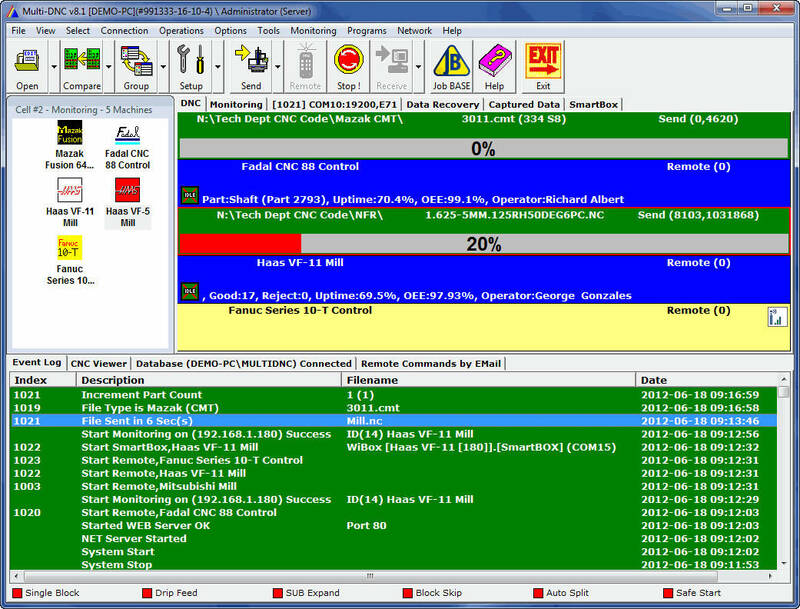 Edit, view and manage CNC files offline, including Backplotting tool paths, while production continues online with Multi-DNC. Eliminate walking back and forth between PC & CNC; CNC Operators pull files into their machines from the CRT on the CNC control. Restart a program from any point in the file in case of tool breakage or to re-cut portions of the program. 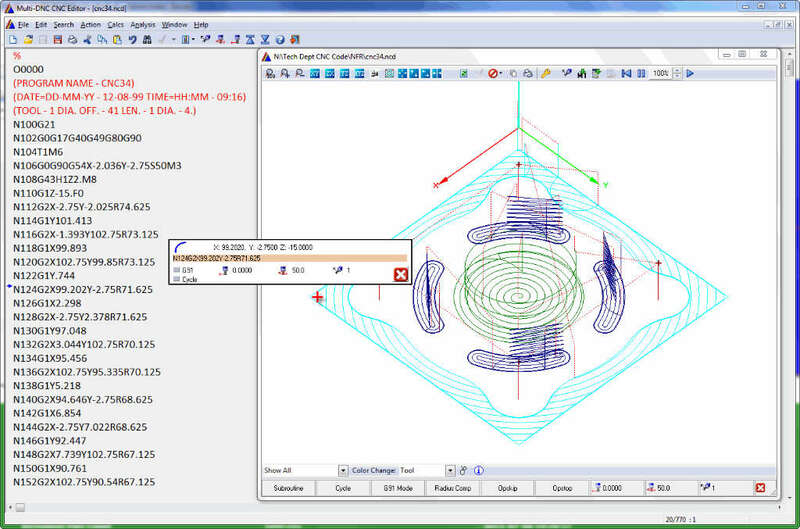 Multiple Restart methods give CNC operators flexibility. SubExpand is a Direct DNC Drip Feed feature that supports multi-level sub-programs and sub-program looping. Restricted to a single user or multiple users; limit the ability to change machine setups; restrict a user to a specific machine or cell and more. 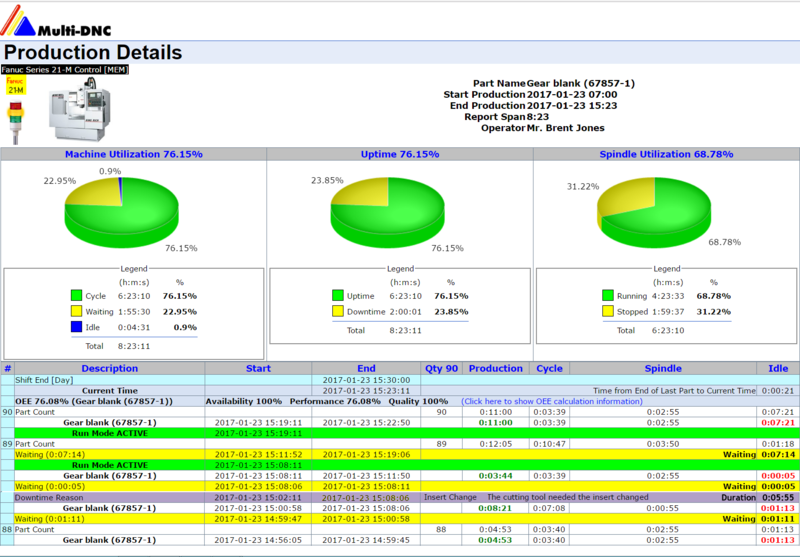 Use Multi-DNC’s API to link to ERP, MRP MES or other 3rd party applications.